Hello! Today I am sharing how I decorated some gift bags for valentine's day. Yes, yes, I know Valentine's Day is over; however, we didn't get to see all the kids before Valentine's Day due to family schedules and I didn't want to give away this surprise. Plus, did you know it's so easy to decorate pretty much anything with just some stamps, ink and dies? You can file this idea away for next year or use this idea for and upcoming wedding, baby and etc. There are so many possibilities! Every year I try to come up with something fun for the kids to make Valentine's Day extra special for our nieces and nephews. This year we did valentine themed cloths for the little one's so I need to figure out what to create for them besides a card. Light bulb idea, decorate one of the thousands of gift bags I have left over from our Year of Gifts Idea. I used the Hey Love Cling Stamp Set and the Be Mine Stitched Framelits for the Occasions Catalog. This is the Hey Love Cling Stamp Set item #148644 from the Occasions Catalog and it is my FAVORITE!! These adorable little critters are spreading love everywhere! I'll be showing you later on how to use this set outside of Valentine's Day so be sure to subscribe to my blog so you don't miss out on any blog posts! First using the Stampin' Up! Journal Pens I drew heart beats on the bag. I cut a piece of the Botanical Butterfly Designer Series Paper (Sale-A-Bration item). Adhere to the bag between the drawn lines with the Multipurpose Liquid Glue. This is the GORGEOUS Botanical Butterfly Designer Series Paper item #149622 from the Sale-A-Bration Brochure. It's Sale-A-Bration Time! For every $50 (before shipping and tax) you can pick a Level 1 item or for every $100 (before shipping and tax) you can pick a Level 2 item! Using the Be Mine Stitched Framelits I die cut out a heart in Real Red, Basic Black and Granny Apple Green. Ink the stamp from Hey Love Cling Stamp Set in Tuxedo Black Memento Ink and stamp onto the Real Red heart and adhere to the bag with Stampin' Dimensionals. Adhere the Basic Black heart to the gift bag with Stampin' Dimensionals. Ink the stamp from Hey Love Cling Stamp Set in Granny Apple Green Ink and stamp onto the Granny Apple Green heart. Adhere to the bag with Stampin' Dimensionals. Tie a piece of 3/8 Shimmer Ribbon Basic Black onto the handle. To create the heart die cuts, I used the Be Mine Stitched Framelits item #148527 from the Occasions Catalog. Create die-cut hearts in all shapes and sizes in record time with Framelits dies and the Big Shot. Dies have stitching and scalloped details. You NEED these framelits they are da bomb! For the girls bags I used Gorgeous Grape and the boys got the Granny Apple Green Bags. Have you heard? Stampin' Up! has created the new cling stamps! Cling stamps feature the same quality rubber stamps you’ve always loved and they now come with highly adhesive image labels. The benefit is that they will cling like crazy to clear blocks so you don’t have to worry about your stamp image shifting or falling off of the block. Cling stamps make stamping easy! Note: Once you place the label on the stamp, it is adhered Attempting to remove or adjust the label will damage the stamp’s foam. Line up the foam side of the stamp with the image label, then press it evenly to adhere it to the label. Make sure it is correctly positioned before you adhere it to the stamp. Thanks for stopping by! Have questions or comments please feel free to email me or leave a comment on my blog. I love hearing from my readers! This blog post is a catch up one ;) Did you see the Paper Pumpkin Kit Adorning Arrows? This was January 2017 Paper Pumpkin Kit and it was super adorable! I loved those little arrows they are so cute and fun! I put this baby together to use this year for the kid's valentine gifts :) Is your's not assembled yet? This kit would work really good for wedding or how fun to put together and leave little gifts around the house for the family letting them know you love them! Or you can give these to friends, co-workers and etc. Here is what all came in this paper pumpkin kit! Lots of goodies and the ink spot was Calypso Coral. I love getting this box in the mail every month and it being a surprise!! This is the adorable stamp set that came in the Adorning Arrows Paper Pumpkin Kit. Couple of sayings in it will work anytime of the year! How perfect is it to use with our Memories & More line? Especially the I adore you stamp!! Perfect!! Here are mine assembled. I did change one thing I used my Tuxedo Black Memento Ink to stamp the greeting in. I liked having the Happy Valentines stamped in black. I can never follow directions to a "T " I like blazing my own path! lol The kids loved them! Some of the things I put in the gift bag varied from kid to kid because of ages. I put fruit snacks, bubbles, small fidget spinners, stickers and candy inside them. Have you been wanting to see what Paper Pumpkin is all about? Now is the perfect time to check it out!! Paper Pumpkin Kit Subscribers receive a fun crafting kit in their mailbox once a month, and it's filled with all the fun supplies you'll need to create things like cards, tags, home decor items, party favors, and more! I love getting this box every month!!! Stampin' Up! is offering new subscribers 50% off their first 2 months with our Creativity Starts with Paper Pumpkin promotion when you sign up by May 10!! Promotion is for NEW subscribers only. Offer is available March 11–May 10, 2018. IMPORTANT: Please use code SAVEFIFTY0418 at checkout. How it works: You can subscribe during April’s subscription period from March 11–April 10 or May’s subscription period from April 11–May 10 and receive the discount. If you subscribe during April’s subscription period you will receive 50% off your subscription when billed in April and May. If you subscribe during May’s subscription period you will receive 50% off your subscription when billed in May and June. If you suspend your account during your 2-month discount period, you will receive your discount during the first 2 months in which you are reactivate. Sign Up for My Paper Pumpkin! When you sign up with me I have a special little paper pumpkin welcome gift I send out to my new Paper Pumpkin Subscribers! In the "Quantity" field, enter 1 (or more) and click "Continue." Enter your general information and click "Continue." Enter your payment information and click "Continue." Select me as the demonstrator please. I know Valentine's Day is over but great idea for you to do next year! Get a jump start! This is another gift we created for our family members and is part of the "Year Gift" we made. If you would like to see more info about this awesome project we created and what I've shared so far click on the little tag on the left side of my blog labeled Year of Gifts or visit my Pinterest Board HERE. Follow me on Pinterest so you don't miss out on anything! I need something that didn't include candy (some family member's don't eat candy), would work for everyone and all ages (to make it easier on me). I had seen on pinterest ages ago paper firecrackers that someone had made, inside where rolos so I thought that idea would be perfect for all the males but instead of rolos I did a roll of pennies! The chapstick holder idea I saw something similar on a blog years ago somewhere and had saved it to my idea folder. 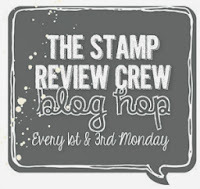 Which Stampin' Up! obliged me by coming out with a bumble bee and thinlit. I swear they were reading my mind when I was planning out the year gifts! lol Then we printed out the fact sheet for Valentine's Day. The kids loved them! It's a very inexpensive gift too! I had a little under a $1 into this gift. You will need a roll of pennies. Cut a piece of Real Red card stock big enough to fit around a roll of pennies and to over lap the end. Punch out a piece of Gold Glimmer Paper with the 3/4" Circle Punch. Cut a piece of Black Pipe Cleaner and wrap around a pen or pencil to curl it. Punch a hole through the Gold Glimmer Circle and run the piece of Black Pipe Cleaner through it. Then attach to the roll of pennies with a Glue Dot. My next project used the following items. This is the Dragonfly Dreams Photopolymer Stamp Set item #142924. This came out last year and when I saw this I was soo excited as I love Dragonfly's! It is a gorgeous set!! What makes this set even more awesome the matching Detailed Dragonfly Thinlits item #142749!! I LOVE these!! Cut a piece of Whisper White card stock the exact width of the length of the chap-stick you purchase. Take the bumblee bee image from Dragonfly Dreams Stamp Set; ink it in Daffodil Delight and stamp onto the Whisper White card stock. Zip a piece of Basic Black card stock through the Big Shot with the Detailed Dragonfly Thinlits die cutting it out. Tip use the Big Shot Die Brush to remove all the little pieces. Then glue over the stamped bumble bee. So cute! Take the stamp from Tin of Cards Stamp Set (retired) ink it in Tuxedo Black and stamp below the bumble bee. Ink the stamp from Sealed With Love Stamp Set (retired) in Real Red and stamp below the greeting. Cut a piece of Real Red card stock a little bit bigger than the Whisper White card stock. Glue the Whisper White and Real Red card stock together. Punch 4 holes using the 1/8 handheld Circle Punch through the layers. Attach the chap-stick to the tag with Solid Whisper White Baker's Twine. To finish add a heart to the bumble bee from the Metallic Enamel Shapes. I had some fun Valentine Treat Bags that I got from Target's Dollar Spot. Everything was packaged into the bag and then I created a tag for the outside using the Sealed With Love Bundle that has since retired. I cut a piece of Whisper White card stock. Stamped the greeting in Old Olive and the hearts in Calypso Coral. I die cut out a piece of Real Red card stock using the Big Shot. I attached to the bag with a piece of sending love ribbons (retired). I am sharing another part of my daily project life journal. If you want to see all of what I shared so far on this you can click on the categories daily journal on the left side of my blog and it will pull up all the post's I've done so far on this. Today I am sharing Feb. 14, 2015. I used the Project Life Memories in the Making Bundle item #140575 from the Occasions Catalog (pg. 43). I used Project Life Memories in the Making Bundle. I love the cards in this kit perfect for a lot of things! Across the top of the first card I inked the stamp from Memories in the Making Stamp Set in Daffodil Delight and created a border of "Happy". I stamped Saturday from the Day to Day Project Life Photopolymer Stamp Set in Tempting Turquoise onto the top of one the cards. Journaling on the cards was done with the Project Life Journal Pens, Many Marvelous Markers, and 2015-2017 In Color Markers. I decorated the cards using It's My Party Designer Washi Tape, Rhinestones, Handheld Stapler and the Memories in the Making Project Life Accessory Pack. I worked in the Memories in the Making Project Life Specialty Cards from Sale-A-Bration. They go with the Memories in the Making Project Life Bundle. Update: I've updated my Retired Stamps For Sale Page on what has sold and I added some more! Thanks for looking and thanks to those that have purchased items!! I am pleased they are going to loving homes :) There are still a lot available! Welcome back to day 2 of the Little Kisses Event! You can see the 1st Project Here for this event. What is Little Kisses Blog Event all about? This event is a kick start to my Special Valentine On-line Class!! (Class started today and it's not to late to join!!!) Through Saturday February 6, 2016 I will be sharing a valentine project each day!! Every day a project will be posted with a video tutorial; along with a FREE project sheet download!!! I also have a GIVEAWAY during this Little Kisses Blog Event!!! I am giving away 1 package of 1 Yard of the 7 different pretty ribbons pictured here!!! Perfect for Valentines Day!!! Can make a whole of projects with all that pretty ribbon! You will need to leave a comment each day, on each Little Kisses Blog Post by Sunday February 7, 2016. I will draw for one lucky winner and post the winner on Monday February 8, 2016 here on my blog!!! Please note: the giveaway is only available to residents of the United States. Today's project is a fun bag! It features the Gift Bag Punch Board item #135862 from the Main Catalog (pg. 150). Bloomin' Love Photoplymer Stamp Set item #140643 from the Occasions Catalog (pg. 17). Create a bag using the Shine On Specialty Designer Series Paper and Gift Bag Punch Board. Punch one end of the Shine on Specialty Designer Series Paper with the Triple Banner Punch. Pull apart the Two Tone Baker's Twine to get the Basic Black Twine. Stamp the image from Bloomin' Love Stamp Set; ink in VersMark and stamp onto Whisper White card stock. Emboss with Black Embossing Powder. Finish by added a Iced Rhinestone Embellishment, Rhinestone Basic Jewels and a Binder Clip. I also made a mini card to go with the Gift Bag too. I created the card out of 12 x 12 Kraft Card Stock item #133674. Here is a picture of the two together. Perfect little gift for someone special! I am supper excited to announce my Special Valentine On-line Class! This is a special class to celebrate Valentine's Day and all the fun that goes with it! This a 3 day event. Class starts on Friday February 5, 2016 and ends on February 7, 2016. You'll get access to 3 projects on February 5 and access to 3 projects on February 6 after 8am Central Time in an exclusive on-line class. On February 7 there will be a BONUS Project as a thank you for taking the class it will include a mini PDF and Video Tutorial as an added bonus! On February 7th I will post my Super Bowl Special for class members ONLY. Visit the class page HERE for all the details. Please note upon receipt of payment I will email you on February 5, 2016 after 8am Central Time with your username, password and login instructions. If you would like a different email address used instead of your paypal account email please add the correct info in the notes of the PayPal transaction. If you have taken one of my classes in the last year you will have the same username and password as before. Today I am excited to kick off my Little Kisses Blog Event here on my blog. What is Little Kisses Blog Event all about? This event is a kick start to my upcoming Special Valentine On-line Class!! Starting today Thursday February 4, 2016 through Saturday February 6, 2016 I will be sharing a valentine project each day!! Every day a project will be posted with a video tutorial; along with a FREE project sheet download!!! I also have a GIVEAWAY during this Little Kisses Blog Event!!! First project for this event is a beautiful Valentines Card! It features the Bloomin' Love Stamp Set and Bloomin' Heart Thinlit Die from the Occasions Catalog (pg. 17). You can purchase these two items together in a Bundle item #140818, to save 15%!! I shared a sneak peek of this project in my Occasions Catalog Idea's Video Part 1 Blog Post HERE. Another Giveaway offer on that post too! Stamp the flower from Bloomin' Love Stamp Set in Crumb Cake Ink onto the Crumb Cake card stock. Add a strip of Blushing Bride Glimmer Paper. Blings up any project! Zip the Whisper White card stock through the Big Shot with the Bloomin' Heart Thinlits Die. Use the Big Shot Die Brush to remove those itty bitty pieces. Die cut out some Red Foil Flowers using the Big Shot and Bloomin' Heart Thinlits Die. Stamp the banner from Bloomin' Love Stamp Set in Blushing Bride Ink and the greeting in Crumb Cake Ink onto Whisper White card stock. Zip through the Big Shot with the Large Number Framelits to die cut it out. Finish by adding some pretty Pearl Basic Jewels. They add such an elegant touch to any project! Today I have two shares for you since I didn't make Friday's post live. lo I'll be sharing the My Paper Pumpkin Kit Filled With Love. I know Valentine's is past but I wanted to share these with you all. I've been getting lots of questions about My Paper Pumpkin lately. 1.Why haven't I been sharing the paper pumpkin kits lately & did I drop from them? 2. Do I like the Paper Pumpkin Kits? Answer~ Yes I do. I LOVE our kits!! Especially the one I am sharing today which you'll know why in a few minutes. 3. Will I share the kits I've missed? Here is all the awesome goodies that came in this kit. Enough stuff to make a total of 24 Cellophane Bags. This kit was perfect if you have kids for a school thing or co-workers, friends and etc. I made a bunch up for friends and family. I LOVED the stamp set that came in this kit!! I did use it for my daily journal for February. Here is the treat bag the kit made. Isn't it stinkin cute! I did mine a little different from the directions as I wanted to save some of the banners to use in my project life stuff :) I filled them with Hershey Kisses. I found these heart boxes a long time ago and while cleaning my basket of misc. stuff I found them in there just wasn't sure how. Then my Paper Pumpkin Kit came and the light bulb went off. * I stamped the cover with the stamp set from the Paper Pumpkin Kit Filled With Love in Real Red. * I punched out a piece of Stacked With Love Designer Series Paper using the Sweetheart Punch. * Then decorated it using some of the goodies from the Paper Pumpkin Kit Filled With Love. * Added a Rhinestone Basic Jewel to the heart and finished it off. Right now you can also prepay for your Paper Pumpkin Subscriptions and get hostess rewards too!!! AWESOME!!! You can add them to a customer order!! For more details visit the Paper Pumpkin Info Page! Today's share is this month's club project for my 10/$15 Club members. Each month my club members receive a completed project that I created along with typed directions, video tutorial, and a paper kit to recreate the project of the month. This is just one of the fun perks for being in my club! My 10/$15 Club is perfect for anyone on a budget. For all the details please visit my 10/$15 Club Page I have a link on the left side of my blog. If you would like to join a club or have questions feel free to email me rubberredneck@gmail.com Anyone in the US can join from anywhere! I do have another club starting soon so if you want to get in on the fun just let me know! Please Note~ that this month there is no video due to me not feeling well. * This is a 3 x 3 Card I love this size for adding a little note with a gift or for just a quick note to cheer someone up. * Zip the Real Red card stock through the Big Shot with the Happy Heart Textured Impression Embossing Folder. * Stamp the hearts from You Plus Me Stamp Set in Calypso Coral onto Calypso Coral card stock. * Add a piece of Stacked With Love Designer Series Paper across the center of the card. * I stamped the images from You Plus Me Stamp Set in Crisp Cantaloupe and Memento Pad Tuxedo Black onto a piece of Whisper White card stock. * Finish it off by stapling the side, add a piece of Crisp Cantaloupe Thick Baker's Twine and a Whisper White candy dot. Every Friday I will be hosting the Scrapbook Saddle Up with y'all!! It will feature a scrapbook layout to a scrapbooking album ideas along with tips, techniques and etc!! Today is the Mini Pocket Album from The Review Crew Hop as promised. I'll be sharing more pictures and details about this fun little album! It uses the You Plus Me Stamp Set from the Occasions Catalog. Like I said in the original post I was just going to create valentine "love notes". Do you remember get those square little notes that looked like mini postcards? That was how the idea for this was born. * Select some card stock; I picked out Crisp Cantaloupe. I wanted to get at least 4 out of a sheet of card stock so I just figured it out to get that many out of one piece of card stock. * I decorated them by using the stamps from You Plus Me Stamp Set. I added some Stacked With Love Designer Washi Tape to dress them up. Very in expensive and goes a long ways. Then I drew a line around the edge using the Project Life Journal Pens. Which are awesome for this! Tip~ When creating a mini album like this I try to make each piece have a different looking end so once it's put together it creates and interesting looking edge and stands out. * I just took another piece of Crisp Cantaloupe card stock. It was a scrap that I had in the pack. I decorated that piece. I added a tag from the Tag a Bag Accessory Kit. * Then I wanted to add some color to the project. I pulled out my Bermuda Bay card stock and searched through it for a piece of card stock already cut. I used my Big Shot and retired Adorning Accents Framelit to die cut the top of the Bermuda Bay card stock. * I stamped the end using the You Plus Me Stamp Set. * At the top I added a Basic Hodgepodge Clip. * I stamped the heart from You Plus Me Stamp Set and punched it out using the Itty Bitty Punch Pack. * I created a journal tag next. It's important to journal something on all your scrapbook projects. I stamped the images from You Plus Me and Hello Life Stamp Sets. * I pulled out another piece of Crisp Cantaloupe scrap piece to use. Using up scraps makes it really easy to create a cute little mini album. * To make the top different I added a piece of 3/4 Basic Black Chevron Ribbon at the top and stapled it. * I created another piece using Basic Black and Crisp Cantaloupe card stock. * For a different edge I punched the top of the Basic Black card stock with Heart Border Punch. * I stamped the images from You Plus Me Stamp Set again. * To tie in the Bermuda Bay color I added a piece of Bermuda Bay Sequin Trim. Tip~ You want the colors to balance out on your completed project. Once I was done creating all the pieces I then need some way to hold it all together. I created a little pouch to slide everything in. * To create it I cut down a piece of Stacked with Love Designer Series Paper. Then I scored it half and stapled each side. I used the stamp from You Plus Me Stamp Set and stamped it in Stazon White Pad. * To tie in the Bermuda Bay color and balance it I wrapped some Bermuda Bay Sequin Trim around. * I stamped the love from Hello Life Stamp Set onto a piece of Crisp Cantaloupe card stock. I die cut it out using the Big Shot and Project Life Card Labels to create a tag. Then I finished it by tying Thick Crisp Cantaloupe Baker's Twine around it. I am really happy with how it turned out! I hope you will try creating your own little mini album. There is no wrong way to create it!